Home > Estimates > Estimates - FAQs > Can I Create a Project from an Estimate? 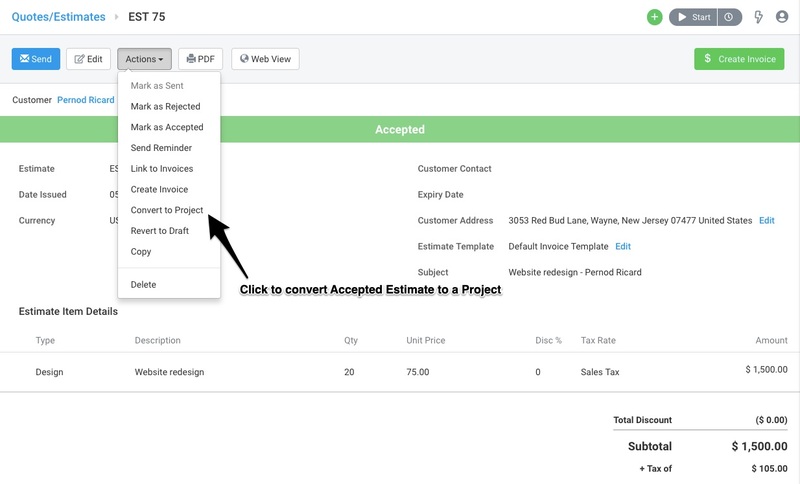 To convert an Estimate into a Project, choose “Convert to Project” from the Actions drop-down. Choose a Project Title. By default, this is set as the Subject you put in your Estimate. Add the Total Estimate Amount as the Project Budget. This will also switch your Budget Type to Fixed Project Fees. You can refer to the Getting Started with Projects guide for further information. 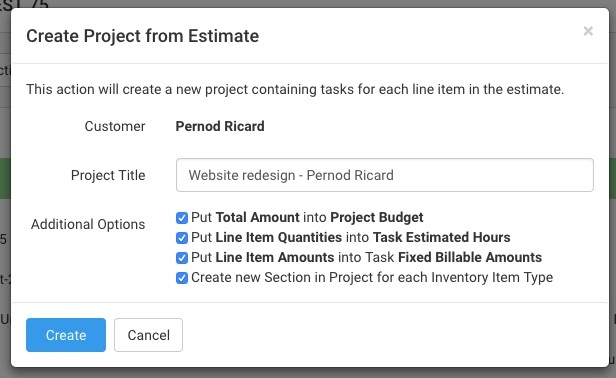 Add the Line Item Quantities as the Time Estimate on each Task. Add the Line Item Amount as the Task’s Fixed Billable Amount. Create a new Section in the Project for each Inventory Item Type. To learn more about working with Estimates in Avaza, you can refer to this guide. If you need further help, feel free to contact our support team via chat or by emailing support@avaza.com.